Other A child runs into the arms of a strange man. What happens next is unbelievable! A child runs into the arms of a strange man. What happens next is unbelievable! 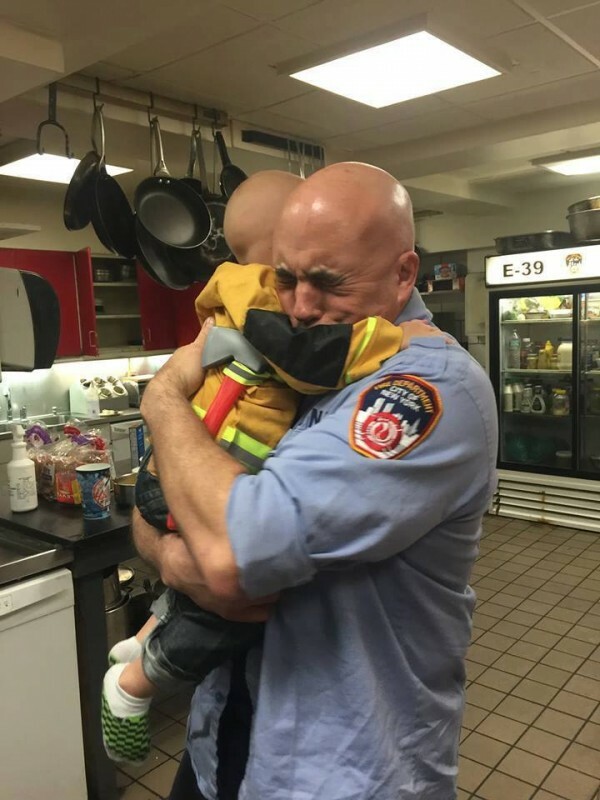 Like many children, 3-year-old Trucker Dukes has always dreamed of becoming a fireman, just like his father. 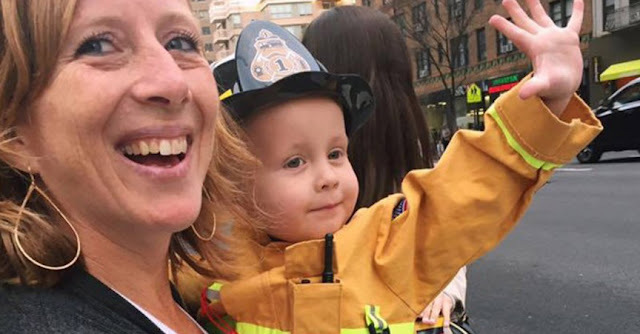 However, unlike most kids his age, this little boy from Hawaii is battling cancer.Thanks to the kindness of the New York City Fire Department, Trucker’s dreams have now come true. FaceFor one and a half years, Trucker Dukes has been suffering from neuroblastoma, an aggressive cancer of the nervous system. Originally from Hawaii, this 3-year-old and his mother made the journey to New York to seek further treatment. With the help of chemotherapy, doctors have been trying for some time to heal this little boy's deadly illness. One day, volunteer firemen from the New York City Fire Department paid a visit to the Ronald McDonald House, a facility that houses very sick children and their families. When they visited, Trucker was there recovering from yet another day of strenuous cancer treatment. When the three-year-old saw Chief Firefighter Jim Grismer, he immediately went over to introduce himself. Grimmer recalled this emotional meeting in an interview with the Huffington Post, "I see this little boy excitedly walking towards me with his eyes aglow. I opened my arms and he basically climbed up and hugged me around the neck. It was as if we’ve been friends for years." Little Trucker's joy and excitement didn't just touch his mom's heart. 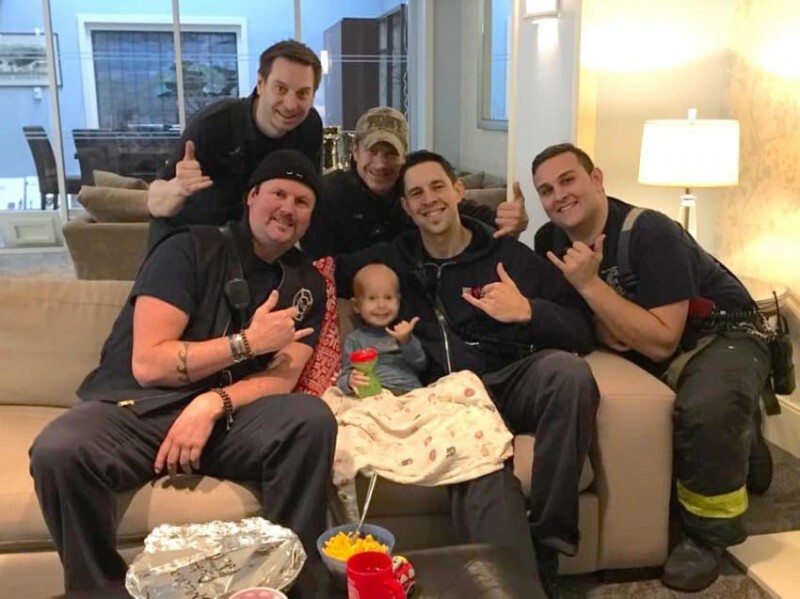 The voluntary fire department of New York City voted to make Trucker an honorary member of the squad. Trucker has found true friends in this group of firemen. The whole crew recently stopped by to help Trucker celebrate his third birthday. The chemotherapy seems to be working for this little fighter, tumors in his stomach and brain have disappeared and his condition is stable at the moment. 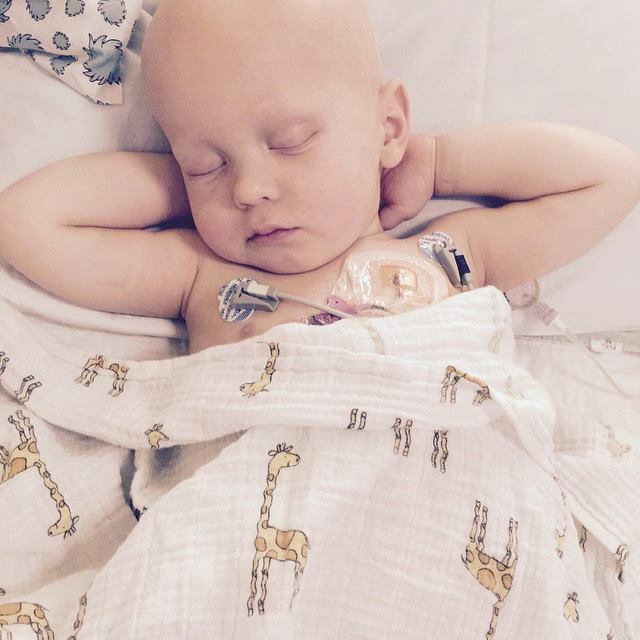 Trucker certainly has a strong support group cheering him on and hoping that this 3-year-old will soon be cancer-free.